Hi Sassy friends and followers and welcome to our newest challenge. This week, our lucky winner (randomly selected, of course) of a $5 gift certificate to Sassy Cheryl's shop is lucky number 12. And that is Janey. Congratulations to you, lucky Janey. 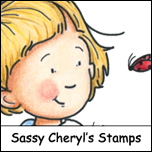 We hope that you enjoy picking some new images from Sassy Cheryl's shop. Just email Sassy Cheryl to arrange for your prize. Enjoy, Janey!! This week, our very new and talented Sassy hostess is Lily. Lily has been part of the design team for several weeks now, and this is her premier challenge. Let's meet our Irish lass, Sassy Lily. Hi everyone, my name is Lily and I live on the lovely island of Ireland! I am delighted to say I can blame my hubby for my initial involvement in craft :-) LOL. How good is that? I met my sweet hubby while we were in college nearly ten years ago. About 5 years ago, just after we got married we were wandering around a gift store one day and decided to make Christmas cards for that first Christmas as a married couple ... and so we did. Since then I discovered my passion for the paper crafting and never looked back. My other hobbies now include photography, painting and sketching. 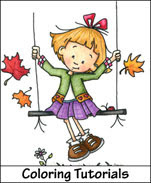 I was very exited when I discovered Cheryl's digital stamps, her images are fun and always put a smile on everyone's face. Now, I'm delighted to be a part of Sassy Cheryl's team and I am looking forward to working with the other super talented team members. We are so happy to have Lily as part of the Sassy Cheryl team. Here's what Lily and the Sassy gals have put together this week as we celebrate our furry friends. We're hoping that you will play along with us in our Furry Friends challenge this week. 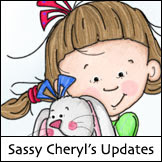 Just make sure that you use a Sassy Cheryl image and link up your blog below with Mr. Linky. Full rules are listed to the right of this post. 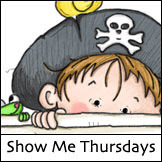 You can link to your blog, or to your online gallery at SNR, SCS or PCP. We'd love to see your furry friend creation. See you then, Sassy friends! Amazing as always, ladies. Love the theme, Lily! COngrats Janey. Just send me an email, and I'll get your GC right out to you! I'm sitting here with my jaw agape at all the lovliness of your cards. Wonderful job ladies. You never disappoint me. Lily, I think we all have at least one SC image that will work with this challenge. Ohhh I had a bit of fun with this one. DT cards are amazing as usual. This was a neat challenge. I could only wish that I could color like everyone else. Thanks to all the ladies who entered the Sassy Cheryl's challenge this week. I love looking at your cards and am amazed by your creativity!! Challenge 35 - And Lots More!